“Running is better than weight training at reversing signs of ageing,” reports The Independent. Researchers from Germany assessed the impact of 3 types of exercise – high intensity interval training, endurance walking or running, and weight training – on signs of ageing in human blood cells. They found that, after 6 months of exercising for 45 minutes 3 times a week, all types of exercise improved fitness, but only interval training and running or walking had an effect on signs of cellular ageing. The researchers measured the length of telomeres, which are protective caps at the end of chromosomes (coils of DNA found in all human cells). Telomeres help prevent damage to the chromosomes that encode the cells’ genetic information. As we age, telomeres shorten, meaning chromosomes are more likely to get damaged. This is one of the ways in which cells show signs of age. Previous studies have linked longer blood cell telomeres to healthier blood vessels and hearts. The researchers found telomeres shortened slightly among people who did no exercise or weight training, but lengthened among those who ran or walked, or did interval training. But these findings were only based on 124 people. All types of exercise have benefits for health, including weight training. This study suggests weight training may be best seen as a useful addition to aerobic exercise, such as running or fast walking, rather than a replacement for it. This reflects NHS advice to do both types of exercise. Read more about the recommended exercise guidelines for adults. The study was carried out by researchers at the Universität des Saarlandes, Universitätklinikum Leipzig and Hermann-Neuberger-Sportschule in Germany, with funding from the Corona Foundation, Deutsche Forschungsgemeinschaft, Saarland University, Saarland Ministry of the Interior, and Leipzig University. It was published in the peer-reviewed European Heart Journal. The Independent gave a good overview of the study, but didn’t mention the high dropout rate. More than half the people taking part in the study dropped out. This was a randomised controlled trial (RCT). These are usually the best way to test whether an intervention (such as a particular type of exercise) works. This study only included results from the people who completed at least 70% of the training sessions, rather than all those originally assigned to the exercise. This per-protocol analysis is less usual than an intention-to-treat analysis, as intention-to-treat gives more of a “real world” picture of the results of asking someone to take part in an exercise programme. For the main study, researchers recruited 266 non-smoking adults aged 30 to 60 who were in good health but didn’t exercise on a regular basis. Everyone did a cardiovascular fitness test that measured maximum oxygen uptake while exercising, and gave blood for telomere testing and measurement. 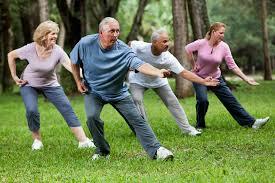 The groups had to attend at least 1 supervised exercise session a week. At the end of the study, people retook the fitness test and gave blood samples for telomere testing. Only people from the exercise groups who completed at least 70% of the exercise sessions (55 sessions) were included in the results. As well as measuring telomere length, the researchers measured the activity of a protein called telomerase, which protects telomeres. The researchers said the study showed that “completing a training programme of moderate or intensive endurance exercise led to potent anti-ageing effects in circulating blood cells”, which they said was “consistent with beneficial effects on cardiovascular health in the long term”. They say the study results “support the European Society of Cardiology’s current guideline recommendations that resistance exercise [weight training]should be complementary [in addition]to endurance training, rather than a substitute”. This study adds to our understanding of how exercise can help keep people fit and healthy as they age. In addition to the benefits of exercise already known – such as improved heart and lung health, lower cholesterol, better mental health, and stronger bones and muscles – exercise may also protect us from ageing at a cellular level. But there are limitations to what the study can tell us. The high dropout rate indicates that adopting an exercise regime that required 45 minutes of training, 3 times a week, isn’t always easy. Because the results are based on only the people who completed at least 70% of the exercise sessions, we don’t know the effect on telomere length for people who did less exercise over the 6-month period. We also don’t know the long-term physical effects of the small changes in telomere length observed in the study. While there is evidence from other studies that longer telomere length in white blood cells is beneficial for the cardiovascular system, we can’t tell that from this study. Exercise clearly has many benefits and, even if the telomere length changes don’t translate directly into physical benefits, keeping active is a great way to stay healthy as we get older. Even if you have been inactive for years, it’s never too late to increase your activity levels whatever your age or overall health.